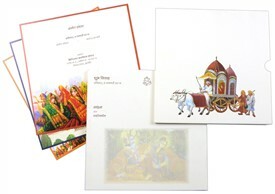 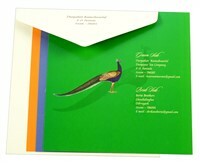 D-6268, White Color, Multicolor Offset Cards, Hindu Cards. 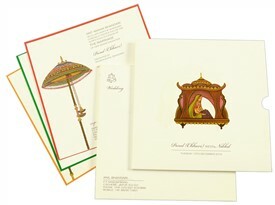 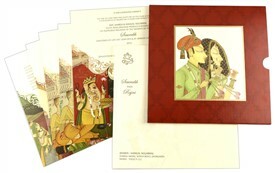 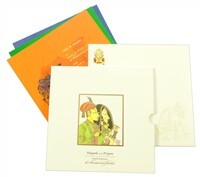 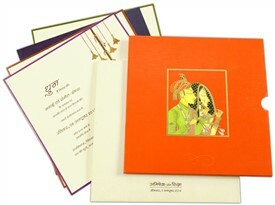 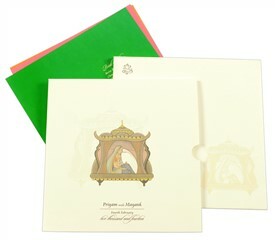 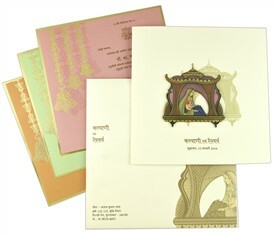 The card front has Bride-groom as main picture symbolizing the sacred Wedding. 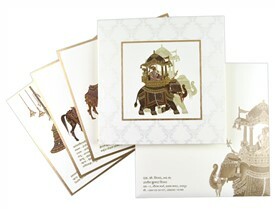 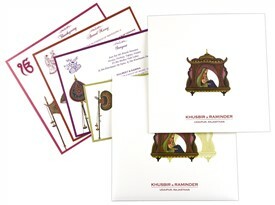 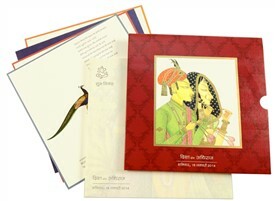 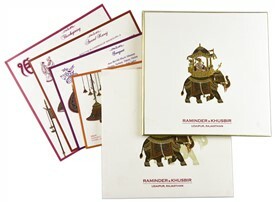 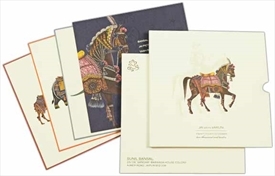 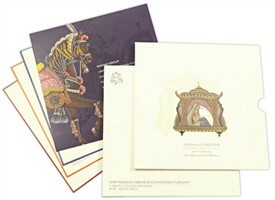 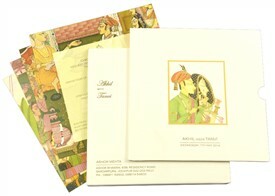 The inserts are multicolor and depict animals such as elephant, camel and peacock on different color backgrounds. 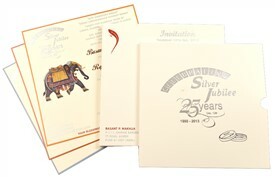 Ivory color self-textured paper (280gsm) for pocket style box card, 3 inserts and mailing box envelope.